This Baya mother and child dimmable LED floor lamp in polished brass finish is modern, energy efficient and bright. 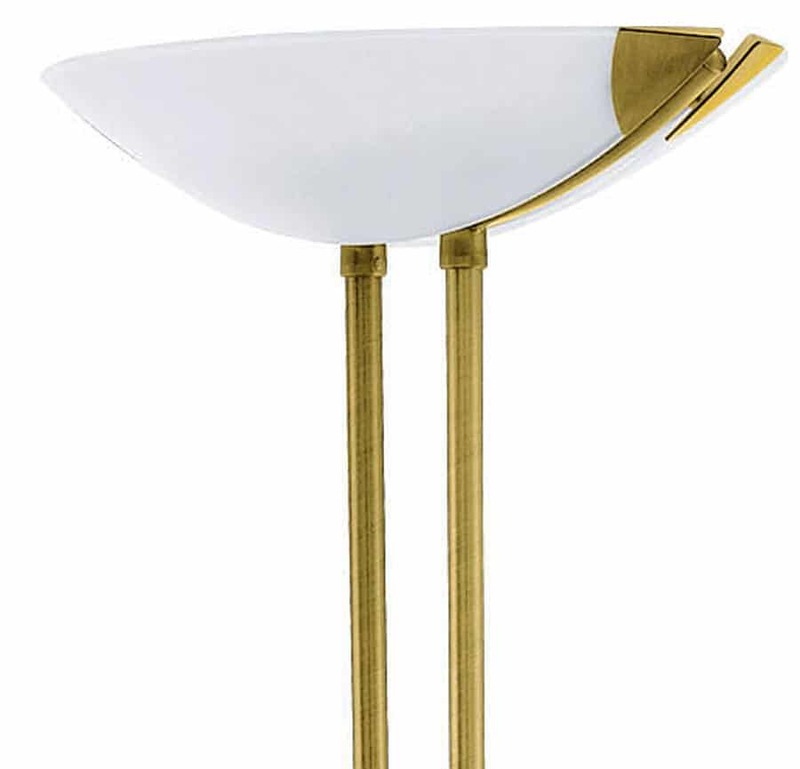 Featuring a circular base and twin stems, with an opal white glass uplighter shade and flexible LED reading lamp. The main light contains 20w and the reading lamp 2.5w of replaceable warm white LED modules. The main light is dimmable using the rotary on / off dimmer switch fitted to the stem. The reading lamp features a separate integral push button on / off switch in the head. 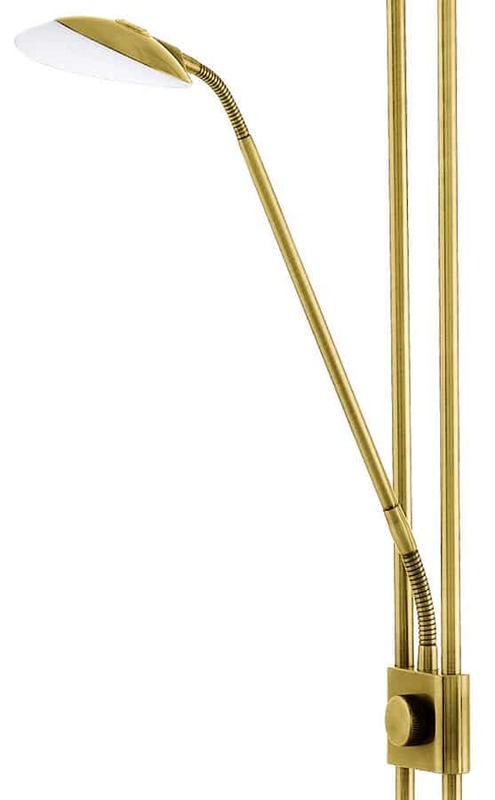 At 180cm high, this bright polished brass floor lamp features a glass uplighter dish, flexible reading lamp arm and rotary dimmer switch that operates the main light. The bright uplighter provides 1950 lumens and the reading light 240 lumens. An elegant and efficient choice for placing in the corner of your favourite room to provide ambient warm white and directional over the shoulder reading light. A class 2 double insulated floor lamp, no earth required. Also available finished in polished chrome, satin nickel and bronze; please see below. This LED floor light is made by Eglo International who have been around since 1969 and is one of the largest European manufacturers, with a huge range of traditional and contemporary designs like the Baya mother and child dimmable LED floor lamp in polished brass finish you see here.